One of the easiest ways to save money is to budget your grocery shopping. Personally I like to write a menu plan and then go shopping with my menu and shopping list in hand. It makes me feel more in control of my cash and my time. Menu and shopping list planning can be done in a few stolen moments on a scrap piece of paper – it doesn’t need to be in fancy organisation books or spreadsheets if you don’t have the time or inclination. But I can tell you budgeting for food allows you to be smarter with your dollar and allows you to get the better deals. And think about it, every dollar tucked away and saved can help you create your wealth to financial freedom. My family’s weekly budget is $110AUS for groceries (2 adults and one 6-year-old child). We live in an expensive city and people often ask me how can I possibly have such a low grocery budget and eat properly. Well in my family we are not deprived at all and we eat very well. However I also add to my food items by growing a little fresh organic produce in a community garden and my partner’s hobby of fishing brings in a catch from time to time. Here’s my shopping from last Monday and the evening meals I cooked this week with these groceries and items left over from previous weeks. 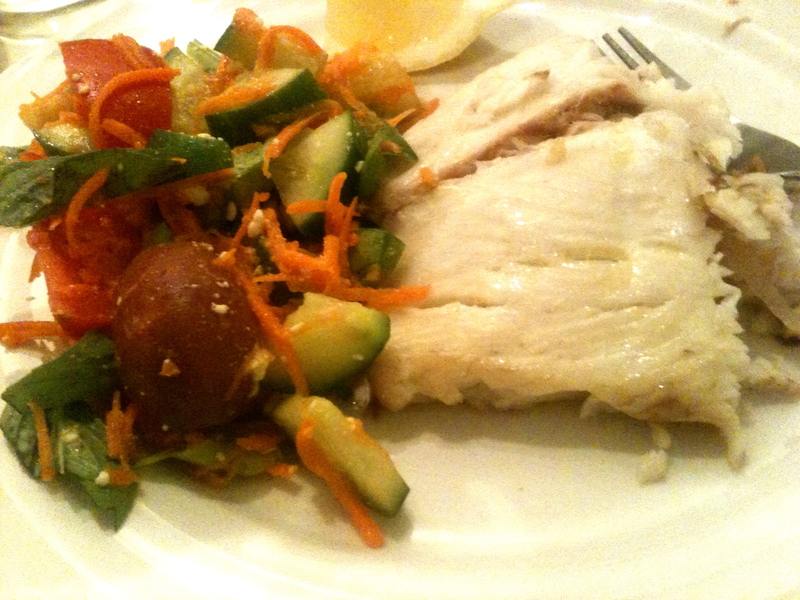 Monday: Fresh fish my partner caught oven baked and served with shop bought salad ingredients and herbs from my garden. 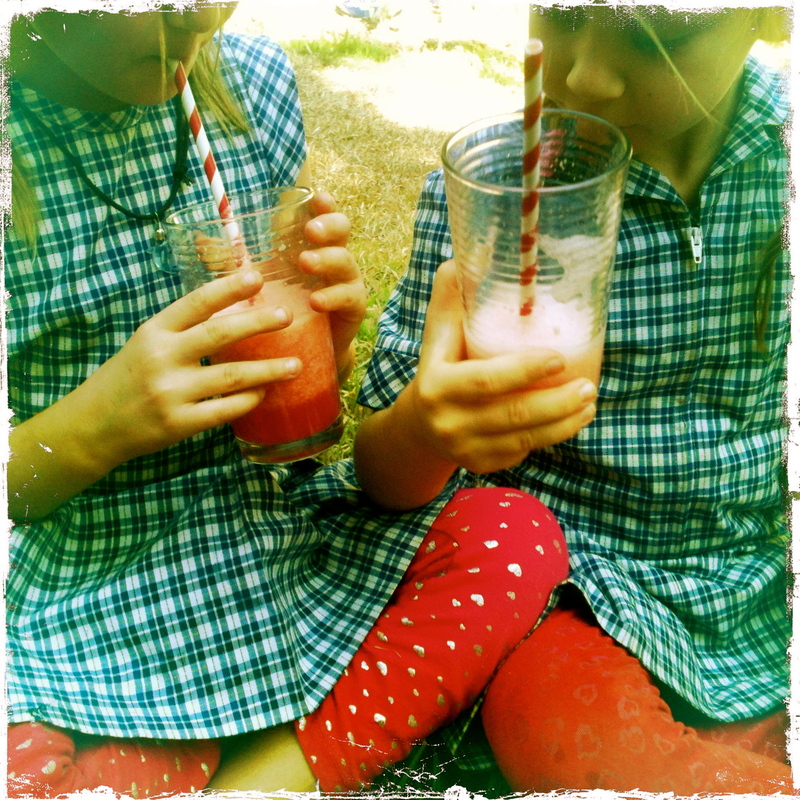 Tuesday was my daughter’s last day with her best friend who was leaving town so I organised a special cooking playdate. I whizzed watermelon in my blender to make fresh juice. 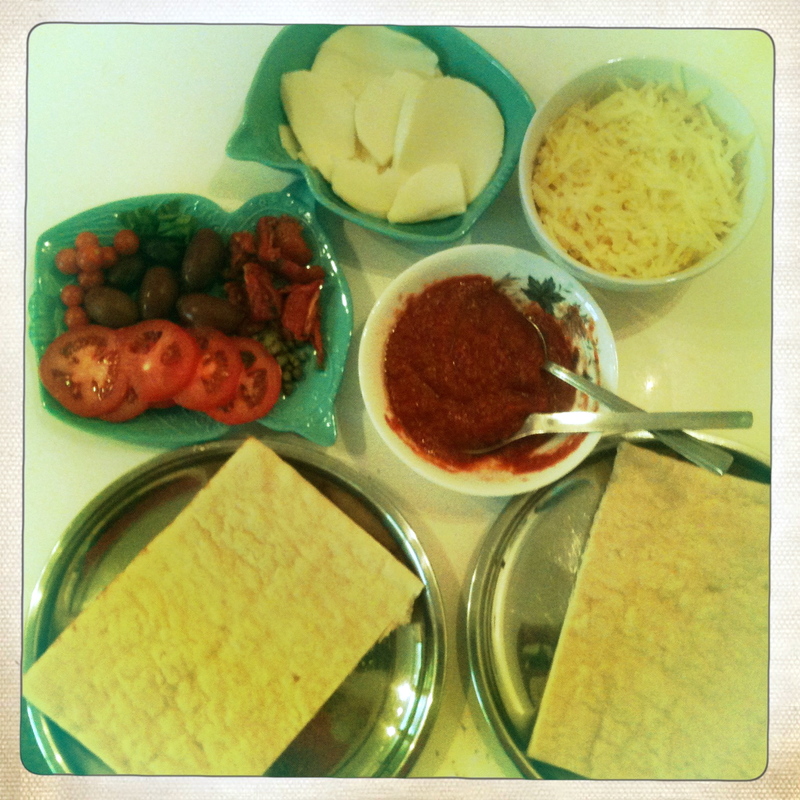 I organised pizza ingredients on the table and they created their own dinner. To end the meal they made decadent Ice Cream Sundays. My partner and I also had the same for dinner – delicious, and it all came to about $15 for the whole meal of pizza and ice-cream for four people. Much cheaper than having taken the girls out for dinner and I believe much more stress free fun for them. Wednesday: couscous accompanied by slow cooked lamb with carrot, potato, olives, capers, tomato sauce, herbs and gifted dried organic raisins (from a friend’s farm). 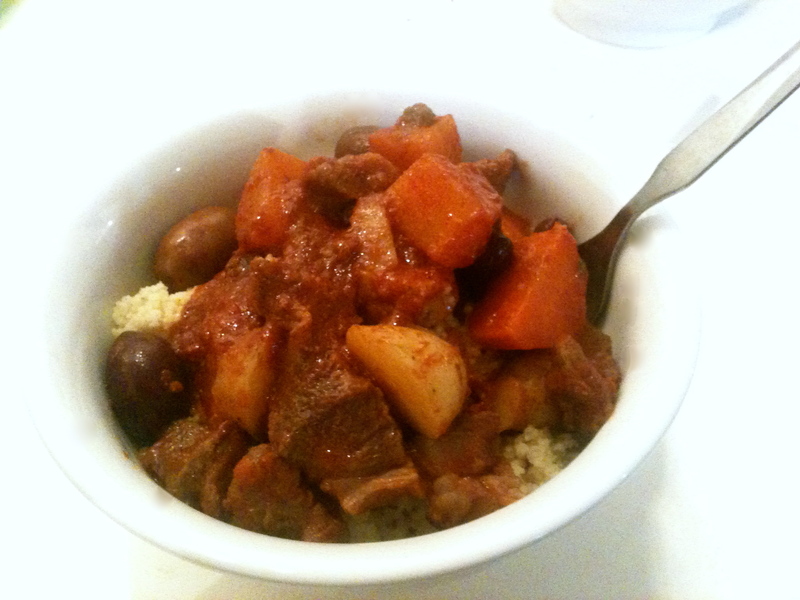 Couscous with Slow Cooked Lamb. Thursday: Fresh fish caught by my partner, pan seared with sage from my garden. Served with a salad of tomatoes and greens from my garden plot. 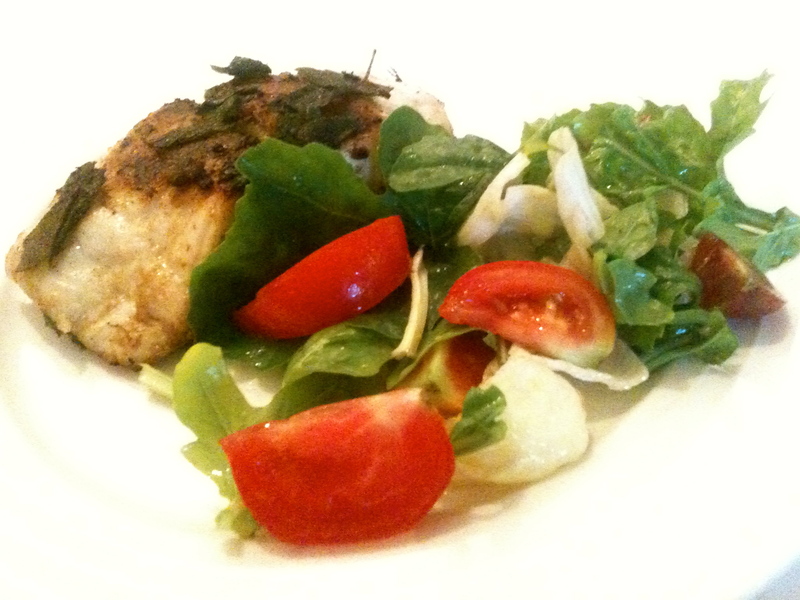 Pan Seared Fish and Garden Salad. 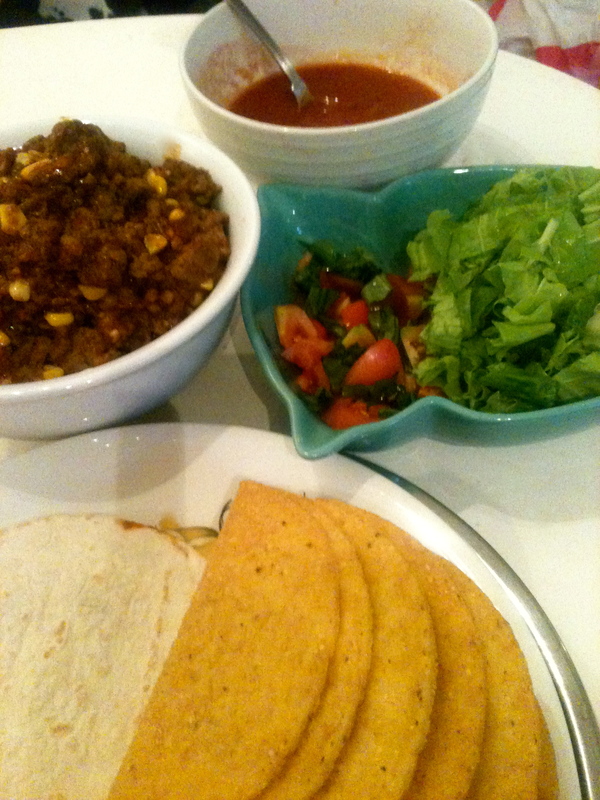 Friday: Soft and Hard Tacos filled with mince and fresh corn. Topped with 5 varieties of tomatoes, Thai coriander and salad greens all from my garden. Grated cheese topped it off. 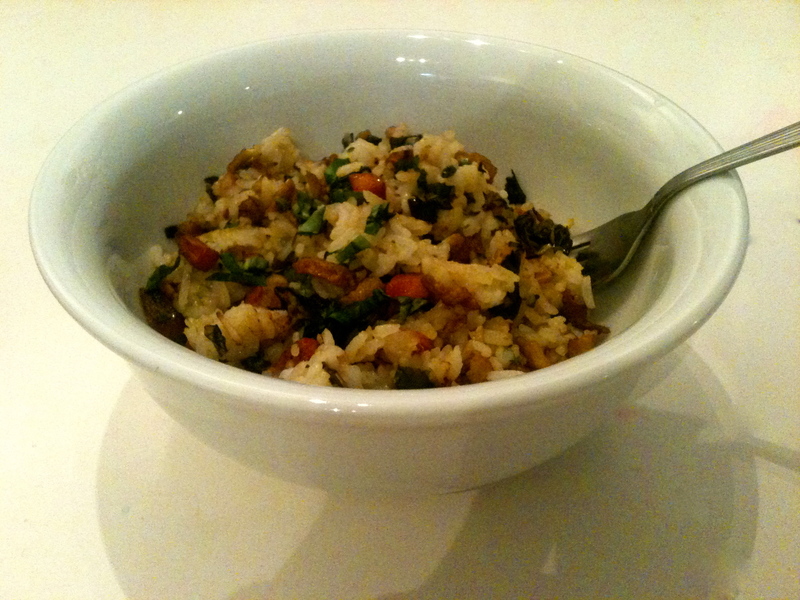 Saturday: Fried rice made with purchased rice, cauliflower, carrot, garlic, 2 eggs and a splash of soy sauce. Also added are kale, spinach and herbs from my garden. Our breakfasts consists of a fresh fruit/veggie/green juice that I make fresh in the morning and then toast, cereal, rice, yoghurt or eggs. Lunches are left overs, sandwiches or sushi accompanied by fruit, veggie sticks and biscuits. Dessert is not a regular item on our table but when it appears it’s cake, ice cream, yogurt or fresh fruit salad. 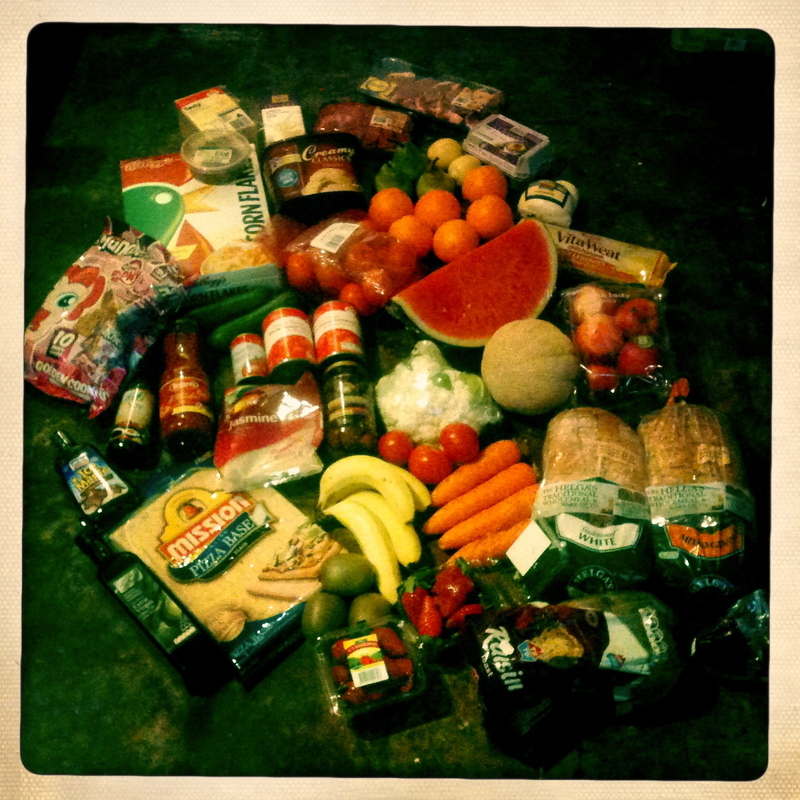 So as you can see – we eat well on our smaller than average grocery budget. I supplement with a few garden ingredients and I’m lucky when my partner catches a fish suitable for eating from time to time. At the end of each week I have a few ingredients left that can be carried over to the following week’s meals. You can feed your family on less than the average spend for your region. It just takes a little planning, a sharp eye for the worthwhile bargains and the desire to save some cash. Imagine stashing away $20 a week by shopping smarter and wasting less. At the end of the year that’s $1,040 for you add to your savings for wealth creation or any other money plans. When added to your other savings made here and there, it can really add up.